This could be quite possibly the most information in 30 minutes we’ve had in the 3.5 years we’ve been on air. I know you’ll be pleasantly surprised when you hear all this valuable information Julie has to share with us. To get to know me, and Meals That Heal Inflammation, better, stroll through my media page and peruse my contributions to publications like Chatelaine Magazine, Reader’s Digest, Vitality, Alive, Canadian Living and House & Home, or sit back with a refreshing glass of water and enjoy any of my more than 600 health featurettes on CTV’s Marilyn Denis Show, CTV News, Dr. Oz, CTV’s Canada AM, CityTV’s Breakfast Television, CBC’s Radio One, Global’sMorning Show & more. 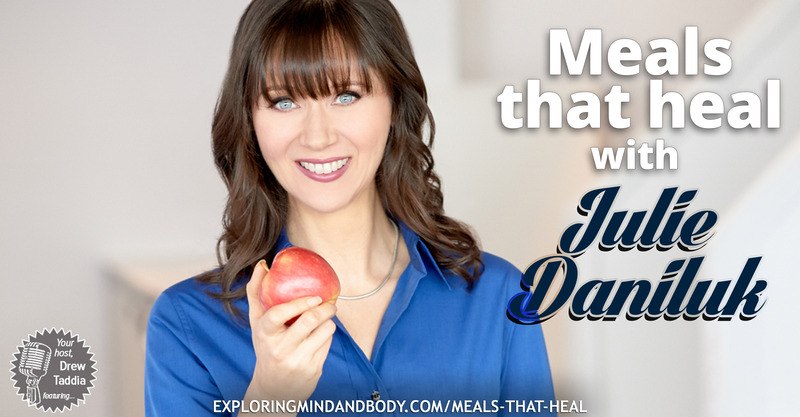 Julie starts the show by talking about how Meals that heal came about which began with an incredible story of her own health issues (ADHD).